Westville Aruba is a tribute model to legendary jazz guitar player Jim Hall and also legendary luthier James L. D’Aquisto. 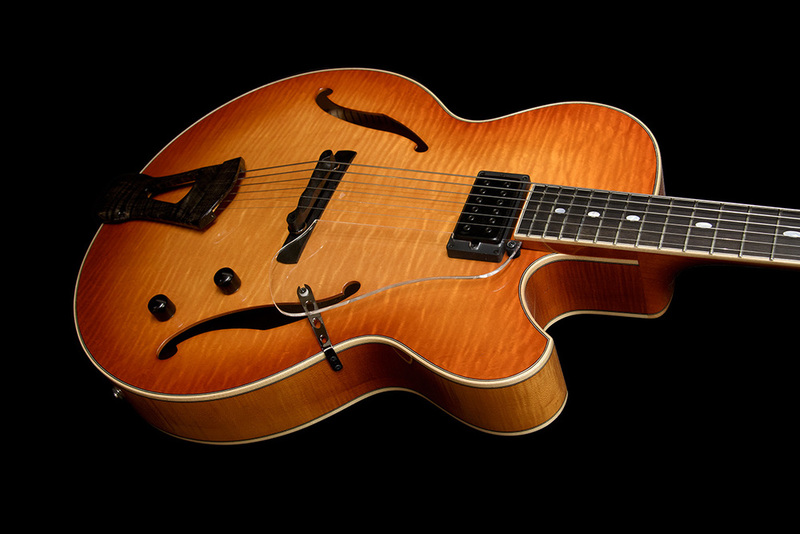 It was designed just as a traditional jazz box with beautiful figured Hard Maple/Spruce Plywood top, figuard Hard Maple Plywood back, and figured Solid Hard Maple sides. Its 1piece Hard Maple neck with Ebony fretboard has shaped in between “C” and “V” shape and has moderate thickness. It provides very even and comfortable playability to the last 20th fret with its single cutaway body. If you look for some kind of “traditional jazz guitar” with beautiful sound and beautiful design, and also stress-free playability, we are sure the Westville Aruba would be one of the best solution for you.